Experience one week of conscious dance on the best island of the planet! 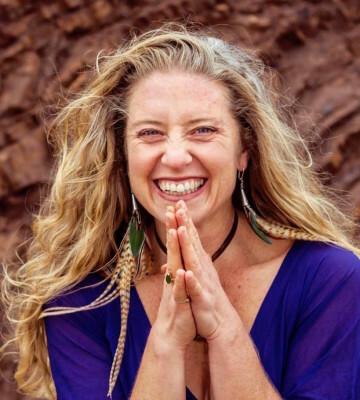 Loved internationally for her infectious capacity to initiate joy-fueled transformation, Samantha Sweetwater is an educator, sacred activist, wisdom leader, artist and culture coder. As the creator of a global movement of Dancing Freedom™ spanning six continents and touching thousands of lives, she is passionate about supporting people to awaken to who they really are and to their power to change the world through purposeful action. A lifelong experiential physicist (ie. a choreographer, community leader, nature wanderer, permaculturalist, yogini and medicine woman) her expertise lies in facilitating a living bridge between states experience and stable embodiment. She helps people to be and create what they know to be True. She invites a profound return to the body, to planet earth and to the Mystery as safe and sacred places to live, love and co-create. Her first book More Life, Please will be released in 2016.